A few weeks ago, as I was checking out at one of my favorite thrift stores, there was a box filled with music CD's. There are no sleeve covering, so I guess that is why they were giving them away. When I looked through the box, it was mostly older tunes. I could take up to 10 CD's, so I picked out some that I thought I might be familiar with. So they sat on the kitchen counter, waiting patiently for me in a zippy bag, until one day I threw the bag into my purse and took them with me. I just don't know what it is about this CD, but I was swooning. Maybe it was the old show tunes, or maybe it was just the rendition. My Mom always liked the music from the theater and movies. But when these started, I was lost. Earlier this year my friend from the North came down and spent some time with me. We had a lot of fun shopping, eating, talking, crafting, etc..... you get the picture. Anyway, one thing I asked my friend to do for me, was to help me recover a chair. Now I am not into re-upholstery, but this was a special chair. It belonged to my hubby's Aunt, and I believe it was her mother's chair. We got this chair when dh's aunt was moving into assisted living, so she could not able to take all the furniture with her. But you can see the basic bones of this chair. We found that the seat of the chair had straw for the stuffing. I decided to leave the straw inside, and just recover it with batting. My sweet friend worked and worked on that chair. She really knew how to take the old upholstery off and use it as a pattern for the replacement fabric. One of the guys that works next door to my dh gave me the roll of fabric. His neighbor had put out several rolls of upholstery fabric for the trash. He knew that I sewed and quilted, so he salvaged them for me. Yeah! DF actually brought that massive staple gun with her from the North! I'm so glad that she had the tools. p.s. 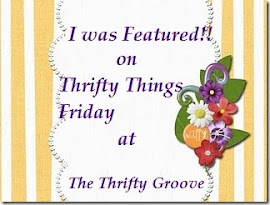 I have signed on with Vintage Thingie Thursday. 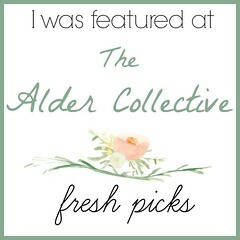 Please be sure to check Coloradolady's blog and visit the other vintage finds! I have always had an affinity for US made china. I love to dig through piles of china and look for the old restaurant dishes. I'd love to have a whole set to serve on every day. But for now I mostly pick up a piece here or there. On our trip to Georgia a couple of months ago, we came across this little shop. It is actually called Forgotten Treasures, but I thought the old grocery sign was so fitting. My dear daughter found these two mugs in this little shop. They are marked "Victor" on the bottom. But they so remind me of the Andy Griffith show. We watch the old shows on DVD, and Andy and Barney always have a pot of coffee brewing in the back room. They come out with these nifty (heavy) mugs every time. I also found this little creamer with the crown marking on the bottom, that signifies Home Laughlin. These little creamers were always served with coffee before the days of the individual plastic disposable containers came about. I remember when the waitress would bring the little creamer over with her pot of hot coffee. The bowl on the left is Homer Laughlin and the one on the right is Syracuse China. What did they serve in these bowls, I wonder?? It seems too small for soup....... hum..... Maybe ice cream?? Well anyway, they are sturdy little bowls, great for leftovers. The three saucers are different brands. One is Morco China USA, Homer Laughlin, and my one piece of Buffalo China. I very rarely find anything that is marked Buffalo China, so I'm happy to have the one little saucer. And this is my favorite piece. It also is marked Syracuse China. I love it with the double handles. I think I have two of these, but at the moment the other one is hiding. The old heavy china was always so sturdy. I can see the fella in the back of the restaurant washing the stacks of dishes. I'd really love to find enough to use as every day dishes. It makes the hunt even more fun and exciting. Okay, I have been scolded twice by my dear daughter. She bought that great dresser in my last post for only $50. I think it's a really great buy, as it is in very good condition. Normally I've seen dressers at the antique shops going for $200-$300. So she was such a good scout on this one. Aren't they SOOOO retro?? A clip type bracelet and pair of earrings that sparkle in a rainbow of colors. I have always enjoyed a treasure hunt. For years I would go to yard sales and estate sales with my aunt. She was a great teacher and a source of knowledge when it came to things of yesteryear. Of course the children were brought along. Sometimes it was fun for them, and sometimes it was a bore. They were always delighted when Aunt H would buy them some little toy or trinket. But eventually the children got bigger and they didn't want to go with us anymore. Dear Aunt H is now living in assisted living, and is not able to get around very much. However, I have found is that my daughter has caught the bug!! When she lived in the Windy City, she started going to antique malls with her friends. She found many very cool things there. And when she moved back home, they came along too. So as she has started the Saturday pilgrimage of treasure hunting, she's been finding some really neat things. I recently blogged about this dresser she found on my other blog, but thought it should have a place here. It has the little wheels on the feet, so I am not really sure if that dates the piece or not. It has cleaned up very nicely. She also found this really cool clock. It is not a very old piece, as it is run by battery, but it has that vintage antique look to it. I found the book at the thrift store. It's quite old, and just made me smile as I looked at all of the needlecraft instructions from a day in time when needlework was a very important part of a housewifes duties. Welcome to Just a Little Southern Hospitality. A new day and a new blog :-) A place for me to share my thrifty finds and other treasures. I always enjoy comments, so please share when you visit!